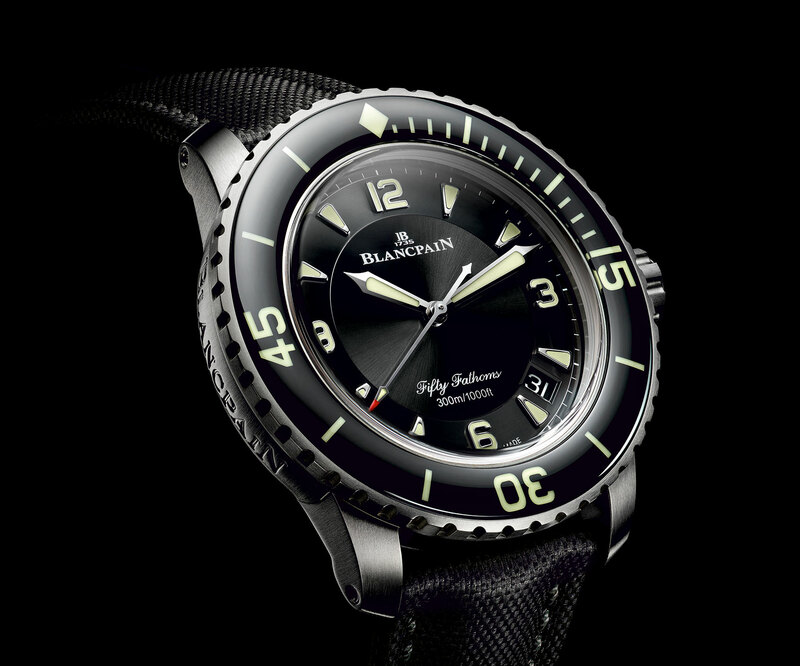 In the underwater realm of dive watches, the Blancpain Fifty Fathoms is an undisputed master. Initially released in 1953, this prototypical dive watch was instrumental in reframing the rules of the game, and defining the modern dive watch. It’s to be expected then that the Blancpain Fifty Fathoms has been an enduring feature of our horological landscape ever since, being realised in countless different versions over the years. And this is the latest. The big story here is the titanium case: 45mm across, and rated to 300m, but refreshingly lightweight. Into that mix we get the traditional black Fifty Fathoms dial and bezel (with that charming sapphire insert), and silky sunburst dial texture, with Super-LumiNova packed hands and markers. 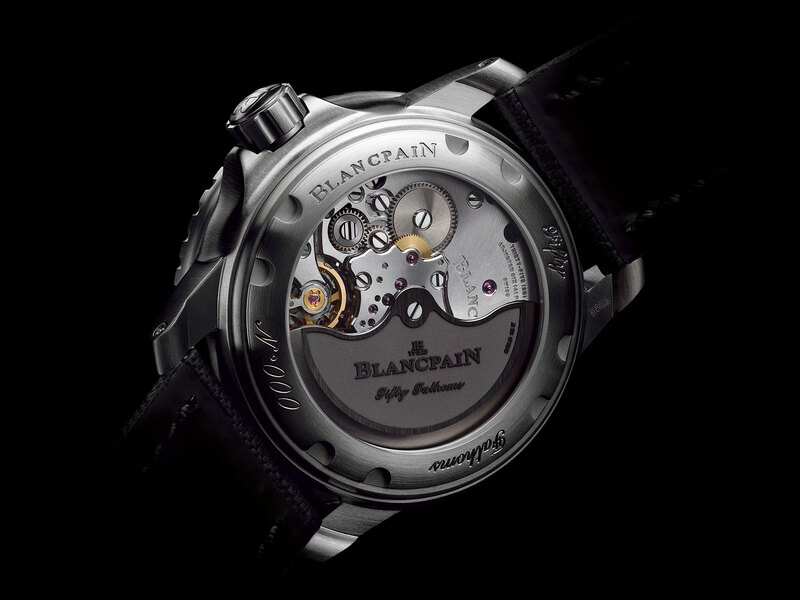 The movement is the Blancpain 1315, with a hefty five days of power and a silicon balance spring. It’s visible through the sapphire caseback. This new titanium take on the Fifty Fathoms offers a strong combination of classic style and contemporary convenience.